Youi clients have saved over $3 million with our YouiRewards® partners. 24/7 Roadside Assistance is included as standard with every comprehensive Car & Motorcycle policy. 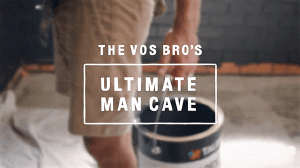 Watch ex-The Block Winners Shannon and Simon Vos create the ultimate Man Cave, using the great discounts on offer through YouiRewards. Stuff happens. We'll get it sorted when it does. At Youi, we get that you’re different. So is the way you drive, the house you have, and the places you take your boat to over summer. We think your insurance should be different, too. That’s why you’ll find we’re not like the other insurers out there. We ask more questions and make less assumptions because the better we get to know you, the more we could help you save. Drive a short distance? Light colored car? Work from home? No shed on your property? These are just a few of the reasons why you could save lots with us. Because at Youi, you get a premium that’s as unique as you are.